Jay Leno is already good buddies with the Ringbrothers, having previously checked out their Chevrolet Chevelle Recoil earlier this year. The Brothers (Jim & Mike Ring) return for the latest video from Leno's garage with a rather sneaky creation called the Espionage. 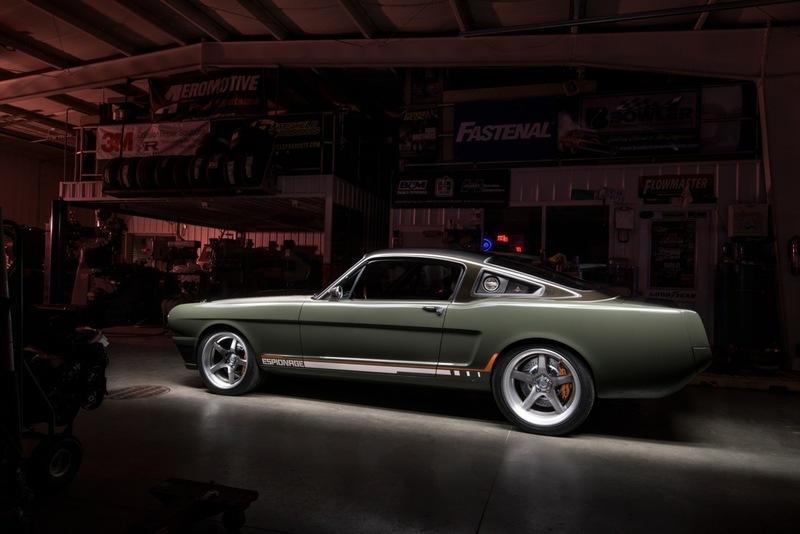 This green 1965 Ford Mustang hides secrets all over the place – including one in plain sight. The Espionage doesn't actually wear an authentic Mustang body, but Ringbrothers instead builds the coupe around its carbon fiber replacement. The switch sheds significant weight from stock, and this version also widens the car by four inches to fit some meaty rubber underneath. The broad shoulders are subtle at first but become more obvious the longer the guys check out this fantastic custom. The Brothers are also quick to joke about a secret that hides under the hood. Rather than a Ford V8, there's a supercharged Chevy in there. It might seem like automotive blasphemy, but the odd choice comes at the request of the Espionage's buyer. Ringbrothers estimates the mill churns out 950 horsepower, and the engine absolutely roars once Jay takes it for a ride. Take the full tour with the guys in the video, and find out what other tricks this coupe hides. 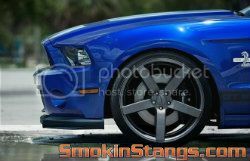 SMOKINSTANGS likes alot...a real lot!! Speaking of Jay Leno's Lift...That thing is sick as well!! Every thing they touch turns to gold. They build some awesome stuff. The only thing I would change is maybe turn the orange into red. Other than that, as said before, wow..
i like the ring brothers work. very detail orientated and precise when it comes to their builds. their as a company near them that was recently featured on jay leno's garage show who also does similar crazy high-end builds. this is not a normal build as it features a twin turbo offshore boat motor.